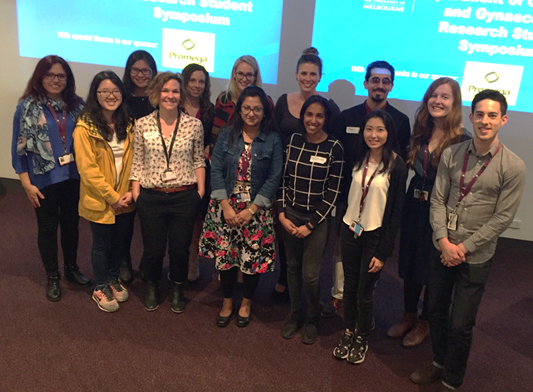 On the 30th October 2017 the inaugural Obstetrics and Gynaecology Departmental Research Student Symposium was held at Royal Women’s Hospital Conference Centre. It was a very social occasion and featured students presenting their current research projects. Congratulations to the joint winners of the Best Presentation Award, Teresa MacDonald and Carole-Ann Whigham. Congratulations also goes out to the people’s choice award, which was jointly won by Roxanne Hastie, Ramin Khanabdali, Teresa MacDonald, and Quynh-Nhu Nguyen.